Bomb Load 1 x 4,000 H.C., 10 x 500 ANM., 2 x 500 M.C., 4 x 250 G.
Seventeen aircraft attacked Wanne Eickel in ten tenths cloud, tops being 6/7,000 feet. Crews bombed with the aid of instruments and skymarkers. Flak was moderate. The general impression was that bombing was concentrated on markers and red glow seen through the cloud. A short inconclusive combat took place between the aircraft captained by NZ426235 F/S Wood and a F.W.190. The aircraft captained by NZ414376 F L T. Blewett unfortunately crashed in this country. The captain and Air Bomber NZ426234 F/O. J. Wilson were killed and the Navigator 1398262 F/S Cornell died as the result of injuries. Page 34, 1945. 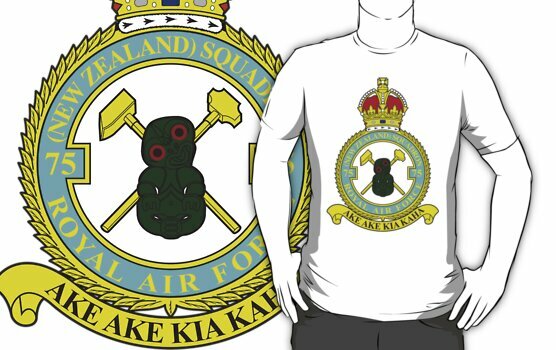 Form 540/ 541 AIR27/ 647 75(NZ) Squadron RAF, Mepal. National Archives. Flt Lt. Terence Douglas Blewett RNZAF NZ414376. Pilot. 6th Dec 1944 to 17th Jan 1945. Died Wednesday 17th January 1945, age 26. His aircraft crashed at Wood Ditton, Suffolk, England on return from a raid on a benzol oil plant at Wanne- Eickel, Germany. Buried Cambridge City Cemetery, England. F/Sgt Bryant Thomas Cornell RAFVR 1398282. Navigator. 6th Dec 1944 to 18th Jan 1945. Seriously injured 17th January 1945 when his aircraft crashed on return from a raid on Warne-Eickel. Died Thursday 18th January 1945, age 22. Buried Southgate Cemetery, England. 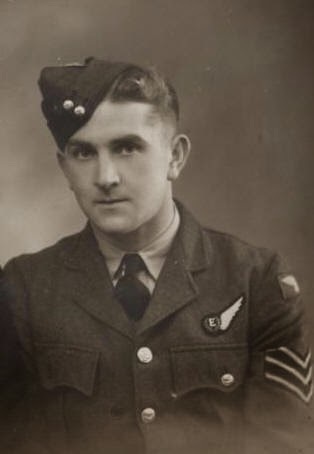 F/O John Stanley Wilson RNZAF NZ426234. AB. 6th Dec 1944 to 17th Jan 1945. Died Wednesday 17th January 1945, age 34, when his aircraft crashed at Wood Ditton on return from a raid on Wanne-Eickel. Buried Cambridge City Cemetery England. W/O J. Smyrk RAFVR. WOAG. 6th Dec 1944 to 17th Jan 1945. Injured Wednesday 17th January 1945, when his aircraft crashed at Wood Ditton on return from a raid on Wanne-Eickel. Sgt. Ronald Hunswic RAFVR. FE. 6th Dec 1944 to 18th Jan 1945. Seriously injured 17th January 1945 when his aircraft crashed on return from a raid on Warne-Eickel. Sgt. Kenneth Hollins RAFVR 2221435. AG. 6th Dec 1944 to c.Feb 1945. Sgt. William H. Pridmore RAFVR. AG. 6th Dec 1944 to 17th Jan 1945. Injured Wednesday 17th January 1945, when his aircraft crashed at Wood Ditton on return from a raid on Wanne-Eickel. 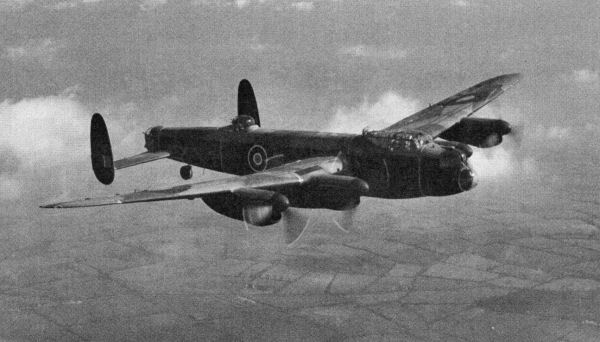 371 aircraft – 320 Halifaxes, 44 Lancasters, 7 Mosquitos – of Nos 4, 6 and 8 Groups dispatched to Magdeburg. 17 Halifaxes lost, 4.6 per cent of the total force, 5.3 per cent of the Halifax force. This was an area raid. Bomber Command claimed that it was successful, with 44 per cent of the built-up area being destroyed. No local report is available. Zeitz: 328 Lancasters of Nos 1, 6 and 8 Groups. 10 Lancasters lost, 3.0 per cent of the force. The target was the Braunkohle-Benzin synthetic-oil plant near Leipzig. Much damage was caused to the northern half of the plant. 231 Lancasters and 6 Mosquitos of Nos 1 and No 5 Groups attacked a synthetic-oil plant at Brüx in Western Czechoslovakia. The raid was a complete success. Speer also mentioned this raid as causing a particularly severe setback to oil production. 1 Lancaster lost. 138 Lancasters of No 3 Group attacked the benzol plant at Wanne-Eickel. No results known. 1 Lancaster lost. 17 Mosquitos to Mannheim and 9 to Hamburg, 55 RCM sortie Mosquito patrols, 23 Halifaxes and 8 Lancasters minelaying off Oslo and in the Kattegat. 1 Mosquito of No 100 Group lost. Total effort for the night: 1,238 sorties, 30 aircraft (2.4 per cent) lost. Page 653, The Bomber Command War Diaries. 2011. Everitt Middlebrook. Midland publishing.